NO. 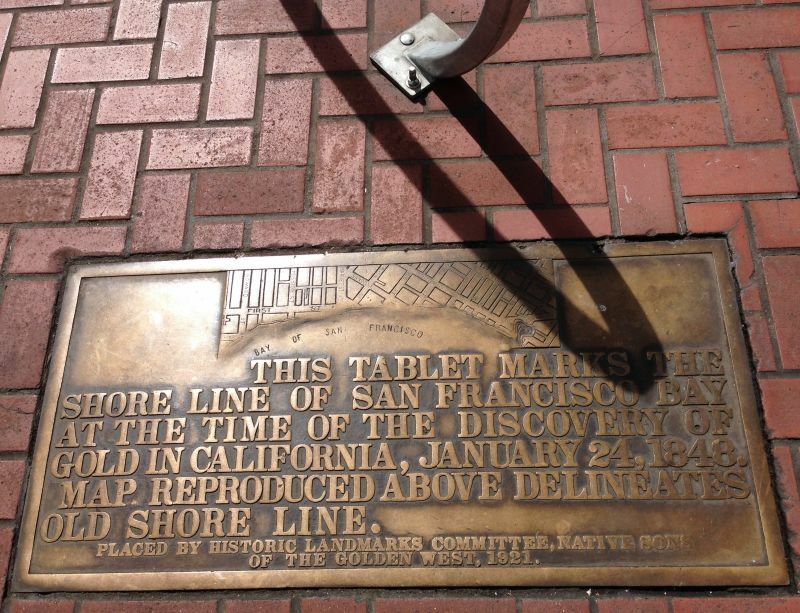 83 SHORELINE MARKERS - "This tablet marks the shoreline of San Francisco Bay at the time of the discovery of gold in California, January 24, 1848. Map reproduced above delineates old shoreline." 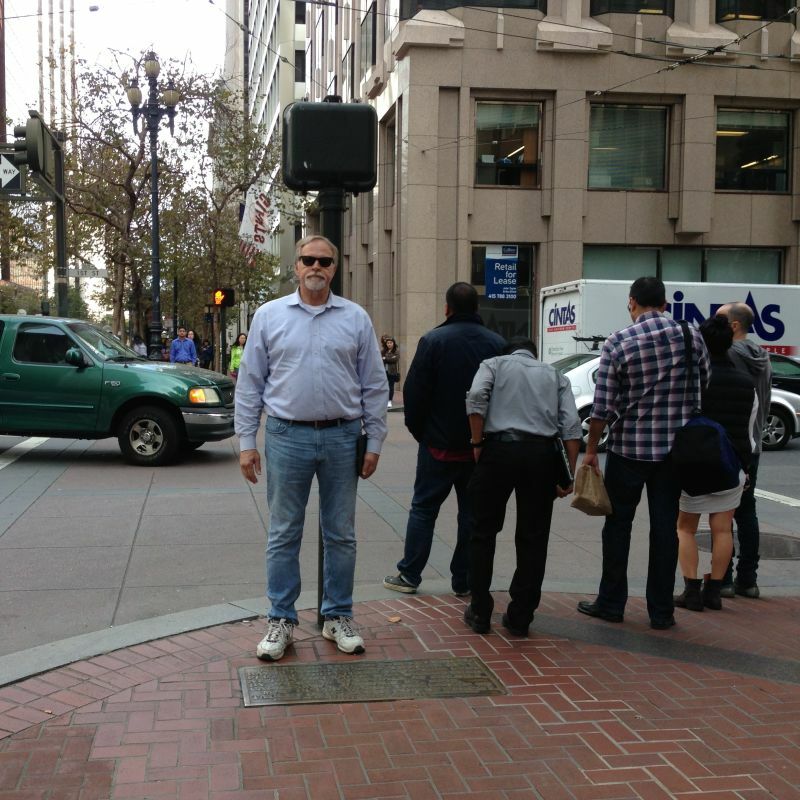 One plaque is in the sidewalk, NE corner of Bush and Market Sts, San Francisco. 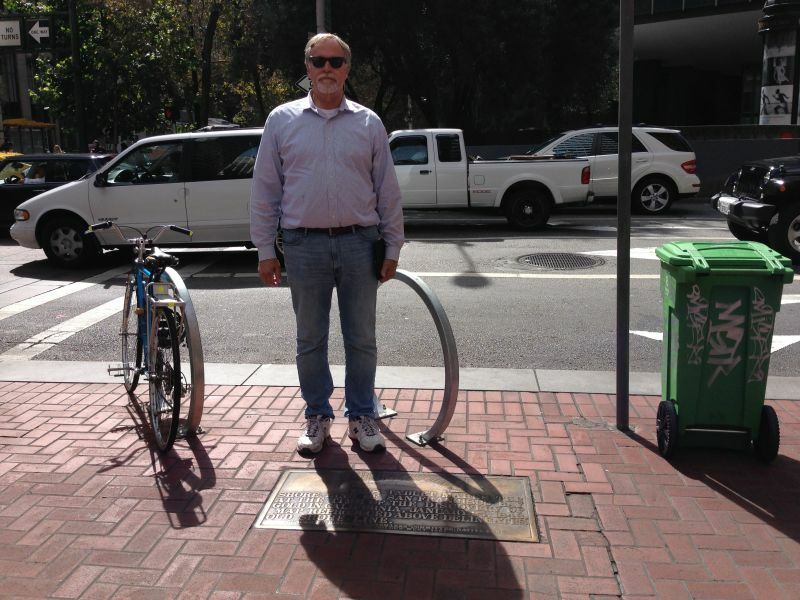 A second plaque is in the sidewalk on the SE corner of Bush and Market Sts. There are two plaques for this landmark. NO. 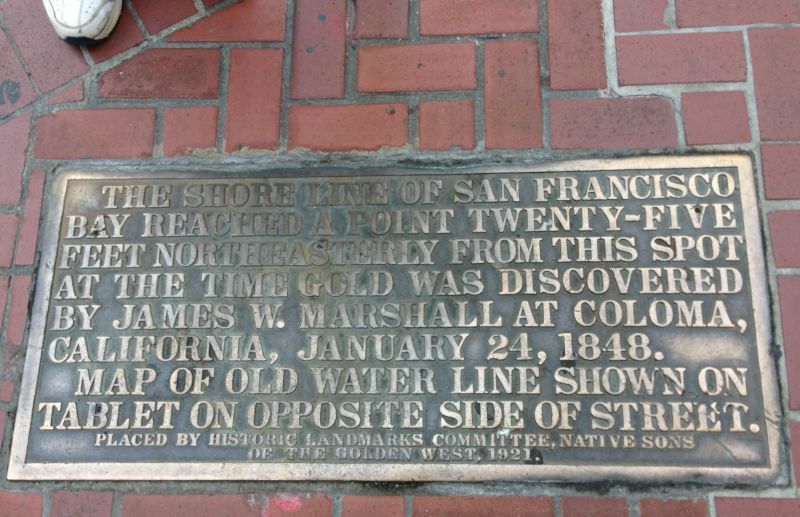 83 SHORELINE MARKERS - Plaque on SW corner of Market and Bush. NO. 83 SHORELINE MARKERS - Plaque on NE corner of Market and Bush.